Coolbue is one of the fastest-growing e-tailers in the Benelux region. Ever since they began in 1999, they had but one goal: to make customers happy. 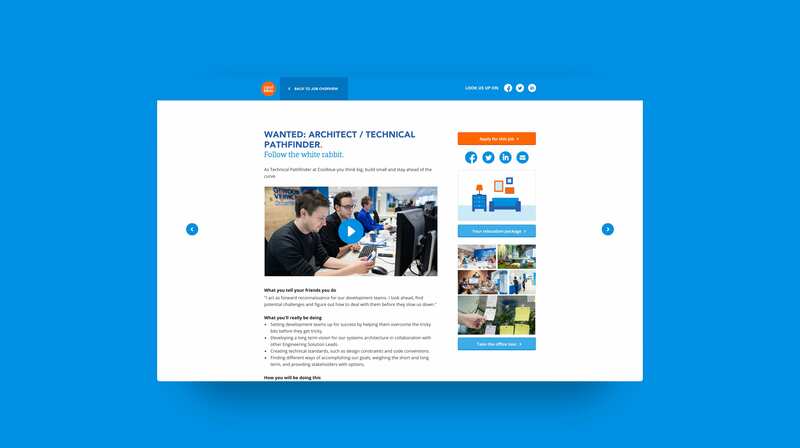 In order to meet the growing need for new talent, Coolblue asked us to develop an innovative careers platform, enabling to persuade 1000 future international talents with their unique company culture. At Coolblue we create almost everything ourselves, but sometimes we need extra expertise and these guys design the right Coolblue feeling. As it was hard to find that amount of people in the Netherlands only, Coolblue expanded its horizons by going international. With that briefing we focussed on Cooblue's strength; people are both colleagues and friends. With each vacancy, a real Coolblue-er talks about the function so you'll get a good insight into how your day to day would be. 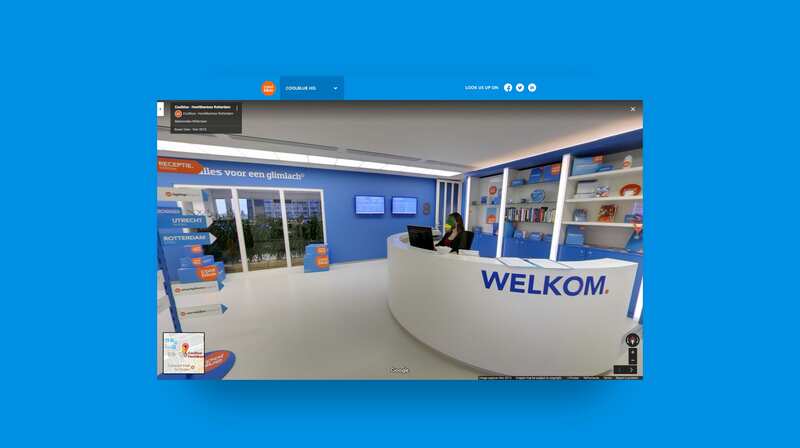 Also with the Google Streetview feature, you'll get a virtual look into Coolblue's HQ which was a first in the Netherlands. With this and an excellent relocation package where Coolblue arranges yearly flights, language courses, housing, furniture, etc., the goal was easily achieved. We would love to tell you all about how we helped Coolblue grow their employee base in order to achieve their ambitious goals.